Creatine amplifies the effects of exercise. Creatine is an amino acid involved in storing energy for use by muscles. Muscle cells maintain a reservoir of phospocreatine that can be drawn upon rapidly when muscles contract. Cooking destroys most of the creatine in food, so it makes sense to use creatine supplements if you want extra energy. Studies of creatine’s effect on muscles show that supplementation at 20 g/day for 5-7 days increases creatine reservoirs by 10-30% and phosphocreatine reservoirs by 10-40%. Most studies of creatine’s effects on energy and strength report significant benefits for people of both sexes, all ages, fit and unfit, and for people with certain illnesses. No significant bad side effects have been reported. Creatine is an amino acid involved in storing energy for use by muscles. Muscle cells maintain a reservoir of creatine and its derivative, phosphocreatine; the phosphocreatine reservoir can be drawn upon rapidly when muscles contract. The phosphate in phosphocreatine is used to make ATP, the biological world’s energy transfer molecule. Creatine is found in meat and fish, but cooking destroys most of it. The average person’s body makes and destroys about 2 grams of creatine a day — in athletic people the rate may be somewhat higher. Supplemental creatine significantly increases the size of the muscles’ phosphocreatine reservoirs, leading to improvements in muscle energy production and recuperation. Creatine’s effect on muscles has been the focus of hundreds of research studies. Typically these studies show that short-term creatine supplementation (e.g. 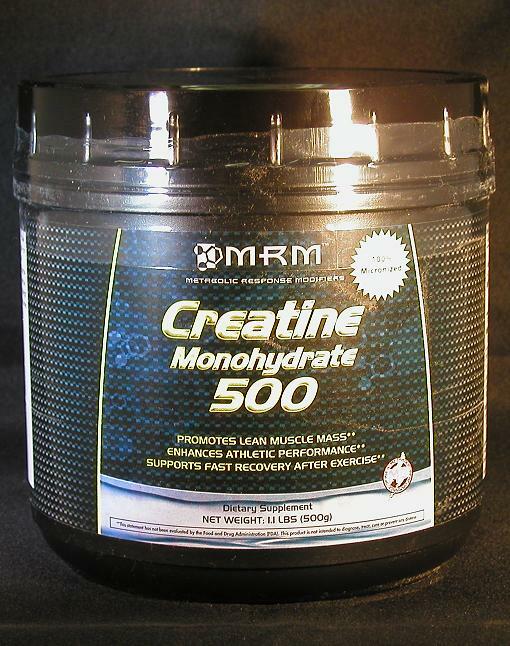 20 g/day for 5-7 days) increases creatine reservoirs by 10-30% and phosphocreatine reservoirs by 10-40%. Most studies of creatine’s effects on energy and strength report significant benefits for people of both sexes, all ages, fit and unfit, and for people with certain illnesses. No significant bad side effects have been reported. Creatine’s benefits are primarily limited to anaerobic sports such as weight lifting, sprinting and jumping. For endurance (aerobic) athletes, the benefits derived from increased muscle energy appear to be offset by weight gain from water and muscle. Creatine builds muscle because it enables users to train harder; typical doses should therefore have little effect on the muscle mass of sedentary individuals. However, in a 2003 study, muscular dystrophy patients using creatine experienced increases in muscle strength in the legs, hands and feet. Creatine is now being studied for its effects on the nervous system. Already it is showing promise as a treatment for Parkinson’s disease and for spinal cord injuries, and appears also to be an enhancer of memory and intelligence. The most common regimen for creatine supplementation has two phases: a 5-10 day loading phase (20-25 g/day) followed by a maintenance phase (2-5 g/day) to maintain muscle saturation. Creatine absorption may be improved if the supplement is taken with something sugary, such as fruit juice.